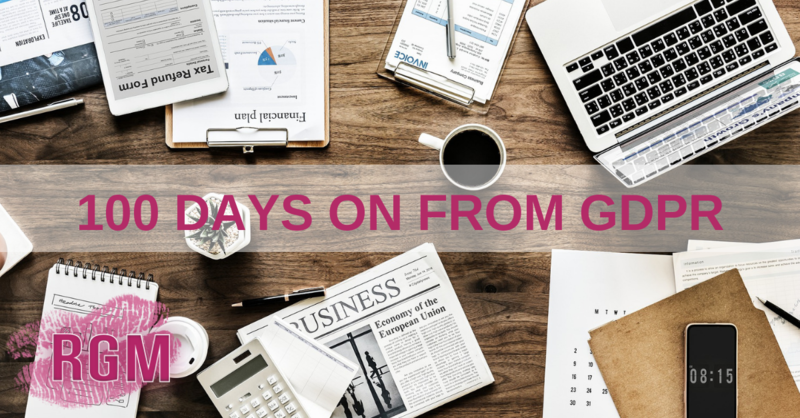 We recently read an interesting article from Campaign regarding last Sunday marking the 100th day of GDPR! For RGM, everything we do is about delivering GDPR compliant data to your business. It always has been. The new GDPR rules have made a huge different to our business. We are now busier than ever with companies turning to us to manage this process for them. If you would like to see what we can do for you, contact us today! If you’ve been hiding under a rock for the past three months, GDPR “replaces the Data Protection Directive 95/46/EC and was designed to harmonize data privacy laws across Europe, to protect and empower all EU citizens data privacy and to reshape the way organizations across the region approach data privacy.” (Source: www.eugdpr.org). It’s been causing a stir in every industry years before and months after its introduction; with many organisations still being unsure what it actually means for them. Many are panicking – deleting all data and starting afresh. Others are making the most of the change and embracing the ‘cleaner’ data they now possess. Either way, organisations have to be more transparent about their databases and handle personal data with respect whether it is in regards to a lead, employee or consumer. To find out how GDPR has been beneficial to Facebook and Google, check out Campaign’s article. It’s hard to know exactly how it will continue to unfold as no one has been slapped with the fine of €20m or 4% of global revenues yet but if the first 100 days are anything to go by, consumers will continue to get smarter; brands will gain more valuable and meaningful pieces of data; and ‘quality over quantity’ will become one of the most common lines said in an organisation, which can only be a good thing, right? If you’d like to add meaningful data to your list to combat the cull, then RGM can help you. Not only are we a media agency that has worked with the UK’s most loved titles for over 20 years, we SPECIALISE in gamification marketing. Using competitions and promotions to engage consumers, leads to quantifiable results AND quality GDPR compliant data. We have worked with brands from every industry and have delivered for all of them, so let us deliver for YOU!